Okabe et al. 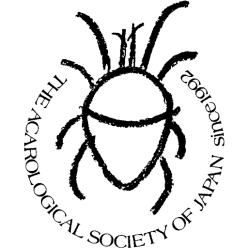 (2018) Tick predation by the pseudoscorpion Megachernes ryugadensis (Pseudoscorpiones: Chernetidae), associated with small mammals in Japan. J. Acarol. Soc.Jpn. 27(1).